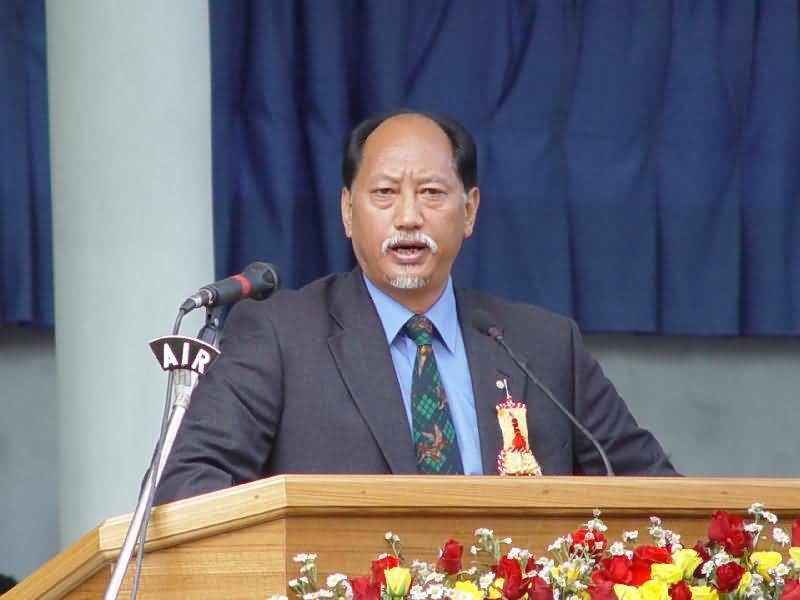 Opposition Naga People’s Front (NPF) on Friday denied boycotting neither the Statehood Day on December 1 nor the Hornbill Festival last December nor the Republic Day celebration this year as alleged by Nagaland chief minister Neiphiu Rio. The recently concluded Republic Day in the State was boycotted by the Naga Students Federation in line with the directive of the North-East Students Organisation (NESO) and not by the NPF in any manner, the NPF said in a statement. “These fabricated and wild allegations of Neiphiu Rio which was disseminated to the civil societies, tribal hohos and NGOs with the intention of confusing the general public is outrightly dismissed and condemned in the strongest term,” the NPF said. Rio at the consultative meeting called to discuss the contentious Citizenship (Amendment) Bill, 2016, at Chumukedima police complex on Thursday said he was disappointed at the NPF’s decision to boycott the consultative meeting. “Boycotting such (meeting to discuss) an issue concerning Naga people is not right,” sources on Friday quoted Rio as saying at the consultative meeting. Rio said the meeting was held because the state government cannot make a decision on its own without consulting the rule-making and administrative local bodies. He said the footage recorded with all the apex bodies and organisations opposing the bill will serve as a mandate of the Naga people to the government of India. “We got a mandate from the people to speak with authority to the government of India,” he said. “Yesterday, we discussed that even though we belong to different political parties, we shall not politicise such issue. But the NPF party boycotted the meeting. It is unfortunate,” he said. “Whereas, they stated they will be a responsible opposition’ in the newspapers,” he added. “They also boycotted during the Statehood Day on December 1 last year. I personally, as the chief minister, invited the Opposition members, including the former chief ministers. Their seats were reserved on the dais. But they boycotted,” said Rio. He further claimed that the NPF boycotted even the Hornbill Festival and the Republic Day. He said there will be no further discussions about the bill since all the tribe hohos, NGOs, individuals, state government, and political parties have unanimously decided to oppose it. “The outcome of the decision will be taken to the Assembly. After further discussion, appropriate decision will be made. That will be the next chapter,” he assured.